from all walks of life in the past 10 years! To celebrate International Breast Cancer Awareness Month this October, the JB Breast Cancer Support Group will be holding an "Exercise for Health" event at a local hotel on Oct 18. The recurrence of cancer is becoming more rampant among survivors and they remain vigilant by consciously making a change in their lifestyle. One way is to have a regular exercise regime. Survivors, their family members and friends are invited to join this event to learn a variety of exercise options and reach better health. They will be introduced to exercise groups that may be found in their own residential areas and are encouraged to join their exercise activities regularly. Survivors who have fought the battle with cancer live with greater appreciation for life because they know that every moment is truly a gift. 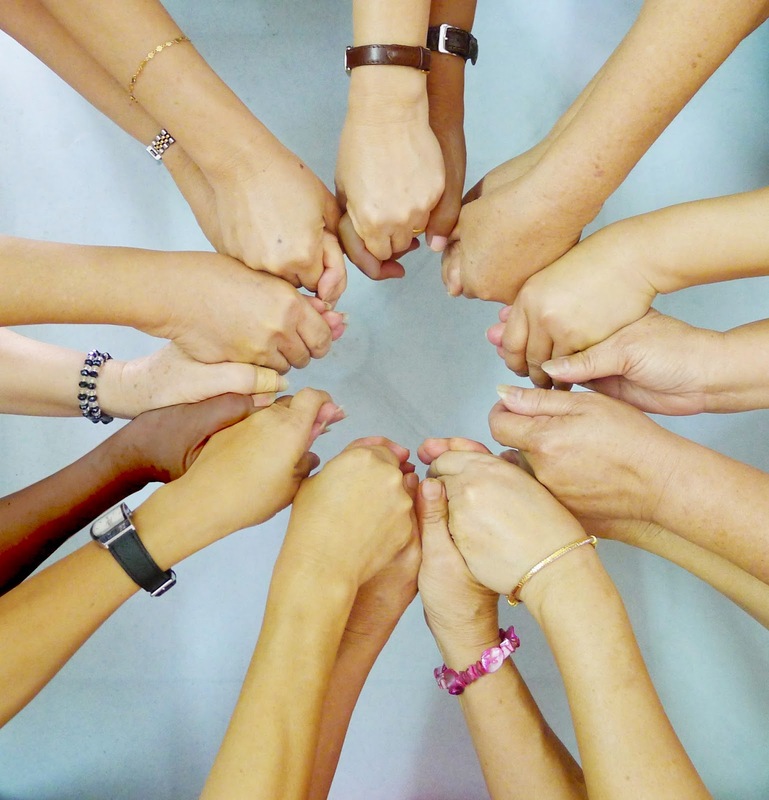 For more than 10 years, the Johor Baru Breast Cancer Support Group (BCSG) has been reaching out to help newly diagnosed breast cancer patients and survivors get on the road to wellness. BCSG members understand what it means to have a second chance in life and when they meet new patients, they share their own experiences to help others face fears and anxieties, and give them encouragement and hope. The group works closely with health practitioners in JB and doctors refer newly diagnosed patients to BCSG so that members and volunteers in the Health Team may reach out to give them emotional support. A cancer diagnosis can be overwhelming and patients normally experience fear, sadness and a sense of loss, especially with the threat of losing their lives. But most women feel stressed about the changes in their body, not only about how they look and how others see them but also about how the illness may affect their relationship with their spouse. Zhang Xiu, a survivor who is a member of the BCSG Health Team, understands the whole gamut of feelings that may change rapidly from denial, fear, sadness, depression, anxiety to guilt and the spiral down to abject loss. Every Friday she goes to Hospital Sultanah Aminah with the Health Team to give emotional support to new patients and help them on their road to recovery. Members of the Health Team also follow up the visits with calls to let them share their feelings and encourage them from their own experience. These patients are then invited to the centre to participate in activities that help to boost their morale and inspire them to fight their own battle with cancer. “It’s normal to be terrified when you are first diagnosed with breast cancer but there is no need to hide from others because you feel you have been disfigured by the disease,” said Poh Luan Eng, a survivor of 11 years who is grateful for the support of family, friends and BCSG during her difficult and painful journey. After she was diagnosed in 2004, she went through a mastectomy and chemotherapy. She joined BCSG after her operation and with her positive attitude she was able to give positive support to others. When she had a relapse in 2008, she underwent radiotherapy. In 2011, a tumour was discovered at the right side of her stomach and she went through chemotherapy again. The cancer then spread so rapidly that she had surgery to remove cancer cells in her large intestine. Luan Eng was living with stage IV cancer and under palliative care for months but with the arrival of her grandson in Oct 2012, her life was worth living again. She believes that knowledge is power and it is important to share knowledge about breast cancer so that women are not afraid to seek help if they discovered anything unusual about their breasts. For seven years Honey Nor Azizah Idris’ annual health screening results were clear but in the eighth year, she was diagnosed with stage III breast cancer. The news came as a tremendous shock and for more than a month, she was in denial and refused to do anything about it. After much persuasion, she went for consultation at Hospital Sultan Ismail and there, she met with a volunteer from BCSG who advised her to meet the members, many of whom are breast cancer survivors. She plucked up her courage to call the BCSG Careline and she received much needed encouragement and advice to start her own fight against the dreaded disease. In two weeks, Honey Nor made the decision for her mastectomy and this was followed by a series of chemotherapy and radiotherapy treatments. With the support from her husband, children and friends at BSCG, she embarked on the long road to recovery. Now after being declared cancer-free, she is able to return to her job as a sales promoter with a hypermarket. “I met BCSG members who looked so happy and positive even in their illness and I was deeply encouraged by their attitude and strong support,” said Honey Nor about her first visit to the BCSG centre. “I soon adopted their “I Can” attitude and went through my treatment with their practical and moral support,” she added. She joins the BCSG Health Team in regular hospital visits, outings and a range of recreational activities including swimming. 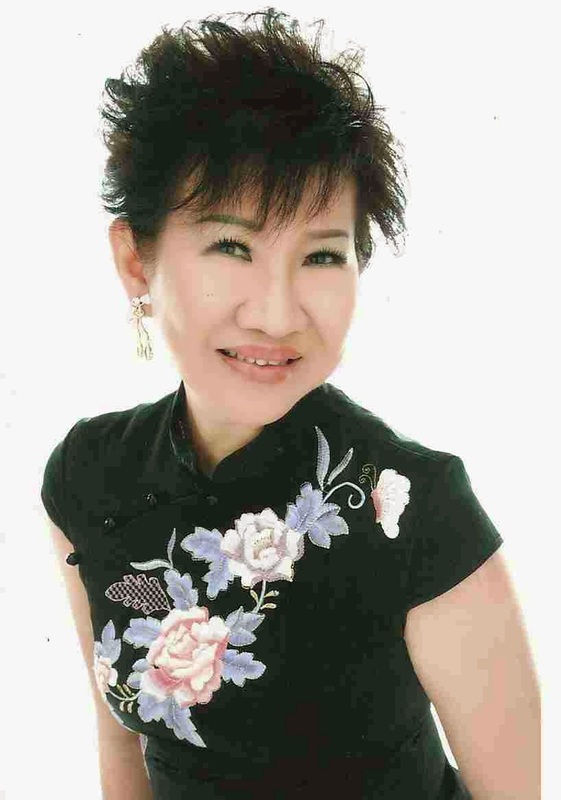 In 1990, before any support group existed in JB, Jessie Lim was diagnosed with breast cancer. It was a traumatic time for her but with the unwavering love and support from her family and friends, Jessie went through her treatments and bravely fought the battle to eventually emerge victorious. Living with cancer for 23 years, she is aware of the possibility of recurrence and remains motivated by sister survivors in BCSG. “I’m not alone because the BCSG family has walked with me in my journey to wellness,” said Jessie. To keep herself informed about health trends, she is actively involved with the centre’s activities and attends in-house training courses, health workshops and support group conferences. Every year in October, the world celebrates International Breast Cancer Awareness Month and this year BCSG will be hosting an Open House event at their centre on Saturday, 4 October 2014 from 10am to 4pm. Members of the public are invited to an opportunity to learn more about Breast Cancer and how it affects not only the patient but their families too. Very often patients discover the disease too late and this becomes more distressing if it is already at an advanced stage. To help women discover anything unusual happening to their breasts, BCSG will teach the proper techniques of Breast Self Examination (BSE). Three sessions planned for 10am, 12pm and 1pm, will be conducted in Malay, English and Mandarin languages. These one-hour sessions will guide women on the proper techniques to check for anything unusual on their bodies. For cancer survivors who have undergone treatments, their next question may be, “What’s Next Doctor?” and this and other questions will be answered in the talks by two health professionals. From 11am to 12pm, Dr Benny Tee will discuss the Traditional Chinese Medicine or TCM ways while Dr Wee Siew Bock from the Parkway Group, Singapore, will speak from 2pm to 3pm. This Open House event will also be an opportunity to ask questions at the Question & Answer sessions after the talks. Fans of Indian classical dance in Johor Baru who eagerly anticipate performances by Survana Fine Arts dance academy were enthralled by the recent staging of Abhikya – the Splendor of Dance, a classic Bharata Natyam performance by Ajith Bhaskaran Dass and 11 Survana dancers. They recognised the hallmarks of Ajith’s touches as the performance reflected his extraordinary talent, deep spirituality, breathtaking creativity and absolute sensitivity. In the past two decades, Ajith, the academy’s Artistic Director, has produced distinct and original dance works that combine authentic classicism with universal appeal. More than 20 years ago, Johor-born Ajith left a career in law to focus on his passion for Indian classical dance and was voted Best Male Dancer in the December season of the International Music and Dance Festival in Chennai, India by the Shankarabharanam Trust in 1996. This versatile performer and choreographer won numerous accolades for his work and was the first male Indian classical dancer to be featured in the 2000 International Arts Festival in Frankfurt, Germany. He was also the first Malaysian to perform at the famed Lincoln Center and at the Joyce Theatre, Broadway, New York in 2003. Ajith’s mastery of techniques in the rigorous disciplines of Bharatha Natyam and Odissi led him to collaborate with professional productions locally and abroad in an impressive repertoire of performances. Besides the students’ annual recital in JB, this year Survana performed several shows including 2 major productions staged in Kuala Lumpur and Singapore. This major collaboration with artistes from Delhi for the world premier of Brahmakalpa – the Eternal Universe, was a sold-out show in KL, followed by another performance in Singapore’s Esplanade Theatre Studio last June and in October it will be showcased at two venues in India. “For a very long time, I have not staged a production in JB in which I perform and as we are working on a repertoire for a major dance festival in KL later this year, I thought it would be wonderful to share it with the JB audience,” said Ajith about Abhikya – the Splendor of Dance, a non-stop performance of 7 dance pieces with costume changes for every dance. This consummate artiste made it a point to connect with the audience not only through dance artistry but also by providing a comprehensive narration in English to help the audience better appreciate the art form. He was particularly pleased that Survana has established a strong reputation with a following in Singapore and KL and many fans came all the way to JB just for this performance. Ajith is humbled as he looked back to the early years of Survana when he started the dance academy in 1994 with just 4 students – Vijay Chandran, Sujatha Vijay, Ananthemalar Durairaj and Vijayan Veeryen. These students went through 10 years of serious training under his tutelage before graduating as seniors. Some of the senior dancers have been with Survana for almost 18 years while the first 4 senior graduates are now part of the teaching faculty who run branches of the academy in several locations in Johor. At Suvarna, only students who seriously want to continue dancing will be given their dance debut or arangetram – a solo performance where the guru presents his pupil to the public. Ajith believes in giving his students a holistic education in all aspects of dance, from dancing and teaching to choreography as well as stage production. So in every production, some of the senior students are not only dancers but also given the opportunity to be involved in wardrobe management, set and lighting design and execution. “Indian classical dance or any serious art form requires a lot of passion and dedication. This passion must be backed by consistent training and hard work. Young dancers must commit themselves to proper training from good teachers and must be willing to subject themselves to many years of learning and practice,” said Ajith, who learnt to dance under his illustrious gurus, Shanta Bhaskar, Adya K. Lakshman, Ramli Ibrahim and the Dhananjayans. “Aspiring dancers should cultivate an interest in reading about dance and watching as many performances as they can. Dance training is only one part of a dancer’s evolution because a great deal can be learnt by osmosis and observation. Always compare yourself and your dance by international standards,” he added. touches to the costumes before the curtain goes up! Ajith’s teaching style in Survana includes in-depth understanding of the dance rather than learning the steps alone. Even though his students are eager to dance, they must listen to lectures to learn about the concept of the dance and understand the lyrics to the music before they can perform more competently. This year, Survana’s artistic calendar in Johor will close with the annual students’ recital on November 22, in presenting Krishnamayam, a full length dance drama that will feature over 60 dancers to the accompaniment of a live traditional orchestra. New venues for the arts, please! Last year, I missed the Johor Baru Arts Festival (JBAF) because I was travelling and returned only to catch the tail end of the annual arts fest. 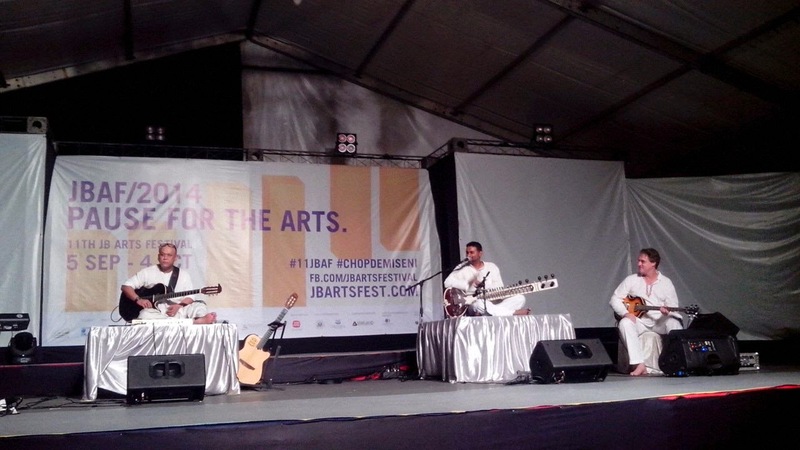 I was travelling again this year but came home just on time as the month-long 11th JB Arts Festival kicked off. Even though I was abroad, I was in touch with local news and read with much delight about the opening of the JB Performing Arts Centre (JBPAC) in Danga City Mall. JBPAC, on level 4M of Danga City Mall is divided into two sections – the White Box, a gallery for exhibitions and art activities and the Black Box for performances. Since August the Black Box saw a crowd gathered every Saturday night to discover more budding local talents in the Singer-Song Writers’ Open Microphone sessions. This year the JBAF Festival Village is located at Dataran Bandaraya while the Main Stage remains at Bukit Timbalan with other performance venues in JB including the JBPAC and Puteri Harbour. I must commend Danga City Mall for welcoming JBPAC into its premises and look forward to seeing other buildings and malls offering their space for arts and culture facilities. This is the first step in the right direction because visual and performing arts not only require space for shows, studios and exhibitions but also need proper parking facilities for visitors and audiences. It is a win-win situation because the mall may also enjoy an economic boost as more people throng the mall to go to shows and the gallery. Last week I was at several JBAF shows and when I met Founder, Advisor and Curator of the JBAF, Yap Siong Cheng, he asked if I went to see any shows in London. I certainly did and told him how I thoroughly enjoyed the musical comedy, Top Hat, in its nationwide tour at a theatre built within a mall in Milton Keynes. Just like Yap, who has a keen appreciation for the performing arts in London’s West End, I never missed an opportunity to watch live shows in every visit to the UK. I know that the visual and performing arts scene in JB cannot be compared to that of London and other international cities but as a developing city that aims to attract people and investors to live, work and visit, there is a need to make provision for the development of arts and culture in JB. The JBAF is into its 11th year and it is sad to see that the value of arts and culture is not properly acknowledged by the city, particularly with the lack of arts infrastructure for live performances. While some of the acts in the festival calendar may be amateurs, most of the invited performers are music recording artistes who have professional careers in the international scene and their acts should be staged in venues with proper facilities. And by facilities I mean venues that are well equipped to ensure that the performances are not hindered by poor acoustics or sub-standard equipment that does not function properly during the show and where there are no dressing rooms and proper toilets for the comfort and convenience of both artistes and audience. The two main venues for the 11th JBAF shows are still in tents and while there is a time and place for outdoor shows, these venues are simply unsuitable for class acts. The fest organizers are doing their best, but a great deal more can be done to provide suitable venues for traditional and contemporary art forms, that are conducive for the artistes’ performance and the audience’s enjoyment. The JBAF is an excellent platform to introduce Nading Rhapsody’s unique fusion of avant-garde Borneo ethnic music in JB and I particularly liked their composition, Umbas, an Iban song with lyrics that called for a stop to discrimination, destruction and racism. The Xiong Quartet also made their debut in JBAF with a mix of jazz improvisations of chill-out Brazilian music like samba and Bossa nova and the appreciative audience was thrilled that the show was extended because it was earlier interrupted by a break to stop an irritating droning sound from the PA system. Popular fusion music band AkashA, sweated it out with the audience during their show because all the overhead fans had broken down and worse still, all shows were cancelled one evening because of flashfloods and traffic congestion in the city after a heavy downpour! Arts and culture form part of the urban value system and reflects the quality of life for the community and if JB aims to project herself competitively in the international arena, then we should have a high standard of arts and culture infrastructure. I am privileged to attend many shows in the city and when I meet the stars and cast backstage for behind-the-scenes moments, I also see the deplorable state of facilities that are poorly maintained, some even with fused lights and no nearby toilets. With larger casts, they are forced to make quick costume changes between scenes, in the stair-well and other convenient corners, but the audience is none the wiser because these artistes are professionals and in spite of the inconveniences, the show simply went on. The stage and auditorium facilities in the city are in fact multi-purpose halls that are either inaccessible due to high costs or unsuitable as they are without lighting and sound amenities. The time is ripe to create more venue choices in JB with well-equipped black box spaces and sprung floors where professional artistes can stage their performances. As we encourage all forms of cultural expressions, there is certainly a need to develop sustainable and quality art infrastructure and make provision for the development of arts and culture here. There is nothing like the pleasure of watching live performances and I’m proud that JB has no lack of talented and creative people who are already making an impact in international art circles. They have taken their art to the highest level and are ready to contribute to the local art scene but are let down by the absence of proper art infrastructure here. As part of a strategy to draw new investments, residents and visitors, JB must strengthen its cultural offerings not only with art festivals but to map out our cultural assets like art galleries, heritage districts, conservation areas and creative talents, and then integrate arts and culture into all aspects of urban development. Hi Ms Peggy, I was so happy when I saw your article, “New venues for the arts, please.” That was exactly my sentiments too as a Johorean, JB to be precise. I’m so glad you highlighted this situation and hopefully somebody will do something. To elaborate, my final year thesis was in fact a proposal to this situation. My thesis title was, “Johor Performing Arts Centre: A Centre for the Development of Arts.” I’m an architecture student, just graduated from UTM Skudai. Cheers to JB! For me, a trip to the UK is not complete without a theatre treat. My preference is musicals probably because I was introduced to musicals like the Rodgers & Hammerstein’s movie, “The Sound of Music” at an early age. I watched it so often that I learnt the lyrics of all the songs and even parts of the dialogue. There is simply nothing like watching a performance “live” on the stage with actors and singers, dancing and singing to music from a full orchestra. The colourful costumes and changing stage sets compels me to stretch my imagination and with every ingeniously designed set, my admiration for the creative minds behind the production, simply increases. Each show I saw seemed to be better than the next and I’m impressed by how the creative teams come up with exciting costumes and interesting sets. When Walt Disney’s “Lion King” was brought to the stage as a musical production in 1997, I was keen to see how the animals would be portrayed on stage. So when I saw it at the Lyceum theatre in London, I was blown away by their ingenious creativity! The music and talents with magnificent showmanship and stage sets were just so entertaining and it’s no wonder that this show has become the biggest grossing musical ever… When the show was brought to Singapore recently, I did not hesitate to watch it again and was not disappointed because it was just as good as I saw it so many years ago! In our recent visit to London, we did a city walkabout to visit familiar sites and when we walked from Trafalgar Square to Leicester Square, we passed Charing Cross where I spotted posters of the Beatles’ “Let it Be” musical that was playing at the Garrick theatre. Some restaurants and retailers display posters and brochures that promote the city’s wide range of shows to interest diners and shoppers, and because live theatre shows are so popular here, London is also known as Theatreland. I walked around Leicester Square and discovered a fountain dedicated to the Bard himself, William Shakespeare, and on the other side of the square, I paused to watch a long queue patiently waiting for their turn at the one-stop Theatreland ticket counter to buy tickets to their choice of shows at London’s West End! This is an opportunity to get the “best deal” tickets left over for the odd seats in the theatres but it really does not matter for true theatre buffs because sometimes they may even get a great seat at the best price. I observed the queue for a bit because I know that my sister had made our show ticket orders in advance online and they were already mailed to her. In my previous stay in London, we managed to catch two shows – Lion King and Mama Mia, but this time, we could only fit in one. And instead of going into London for the show, we also decided to catch “Top Hat” in a matinee at Milton Keynes, about an hour’s drive from my sister’s home. It’s interesting that the theatre in Milton Keynes is built within a modern complex of buildings that incorporates shopping malls, restaurants and other amusement attractions. Equipped with staircases and elevators, careful thought went into the design of the theatre because it is user-friendly for members of the audience with special needs. Especially in UK’s cooler weather, the number of toilets available at every level was very welcome. Inside the theatre, every seat had an unobstructed view of the stage. Every seat had an unobstructed view of the stage! As usual, there was an intermission in the show and the audience was such a disciplined group because they were back at their seats before the lights went down again. I noted that there was no announcement about how long the break was but there was sufficient time to join the toilet queue and grab some refreshments before the show started again! We thoroughly enjoyed this musical comedy filled with tap dancing and elegant waltzing, and the mistaken identity situation in a story that ended happily. A tap-dancing scene from the musical, "Top Hat"
And when we were leaving the theatre, I smiled when I heard someone still humming the jazzy tune, “Heaven, I’m in heaven…” just like me, still reliving the dreamy dance scenes! My friend Karen, an event organiser, told me that she was checking for suitable sites to organise an annual youth retreat for a school. Based on the school’s requirement, she should find a place with facilities which young people from the city, will not only enjoy themselves but gain further insight into a more rustic way of life. When she discovered the facilities at Kahang Organic Rice Farm (KOREF) resort and had the approval from the school board to organise the retreat there, she did not hesitate to invite me along. Karen made me mark those dates on my calendar because she knew that I was keen to visit the farm again. This is because many years ago, I visited KOREF in a product tour with Tourism Malaysia when the farm was recognised as the first certified organic rice farm in the nation by the Malaysian Department of Agriculture in 2006. Now I’m keen to renew my acquaintance with Tam Pak Suew, the engineer-turned-farmer who runs the resort, and see how KOREF had developed as a farm and resort. From what Karen told me, they have new acc0mmodation facilities and more agro-centered activities that are both fun and educational for students and city-slickers who are keen on a farm experience. While the students and school staff travel by van and coach, Karen and I decide to drive ourselves so that we can start out early and make a brief stop to enjoy a Kluang Rail coffee on our way to the farm. From Kluang, the signage to Kahang is clear as we pass vegetable farms and oil palm plantations and head towards Mersing. After a 40-minute drive, the land levels out and I know we should be close so I slow down to spot the sign for the farm entrance. And there it is! I turn off the main road and the car bumped along the laterite trail, winding pass paddy fields – some laying fallow and others planted with stalks of paddy – until we arrive at the resort gates. Coaches and cars are parked outside but we drive in to the reception for Karen to get further instructions on which dormitory our group has been assigned to in the farm. I wait in the car while she is making enquiries and notice that the flooded rice field which is used as a recreational pond, is now fringed by coarse sand to create an artificial beach and the field adjacent to the reception hall is dotted by tents which are occupied by a group of young campers. I see new features like a broad wooden bridge that cuts across the pond to a tiny island with a few double-storey wooden houses – some charmingly thatched by attap leaves. My observation is cut short as Karen comes back with instructions to drive around and use the second entrance because the youths will be housed in a dormitory next to a multi-purpose hall on the other side of the pond. As the youths start their activities, Karen tells me that it’s time for us to check into our accommodation and pointed to those double-storey wooden houses. To get there, we must walk across the wide wooden bridge which is also used as a dining area. As we approach the houses, I privately wish that my room is the unit with the attap roof. I also notice that the entire bridge and the wooden houses are built with recycled wood materials – rather mismatched in some parts – but altogether rather charming and attractive. I’m following closely as Karen leads the way but I stop when I see that the houses are actually floating on pontoons and securely moored to the tiny island! I’m totally charmed to see how recycled wooden planks from Chinese new village houses are reused to build traditional Malay-style wooden houses on stilts and floated on the flooded rice pond. Gripping my luggage, I gingerly walk across a tiny bridge that links the floating house to the mainland. Karen is already half-way up the side staircase, urging me to hand my luggage up to her and I’m overjoyed that we are staying in the unit with the attap roof! There are two rooms for us upstairs and when I open the door to my room, I recalled the last time I stayed in a traditional wooden Malay house in a kampong homestay that did not have an en suite bathroom. It was a real adventure when there was a power failure just as I was about to have my evening bath! But Karen assures me that our rooms are comfortably equipped with running water, electricity and the privacy of our own attached bathrooms. In typical kampung style, the room floor is covered with sheets of linoleum and built with two traditional floor-to-ceiling windows. I open the windows to enjoy the cool breezes blowing in from the flooded rice pond. I meet Tam who takes me on a farm tour to show me how he is applying an integrated organic farming approach where rice fields are left to lie fallow before being used in rotation for rearing red talipia fish. The farm has a wealth of biodiversity, clean air and unpolluted water from the Madek River that flows from the nearby 1,010m high Gunung Belumut. Tam shows me livestock like ducks, geese and chicken as well as vegetables that are cultivated in abundance. He also shares his ideas and plans to turn the farm into an exciting farm-stay destination in Johor. I hear the sound of rushing water which Tam tells me is water from the Madek River being directed to the ponds for fish farming, rice planting and to fill the recreational pond. Various programmes are organised for groups of youths and students who can enjoy outdoor fun in the recreational pond like learning to ride bamboo rafts and to net fish using an artisanal technique of seine netting. An obstacle course built in a separate pond is a popular choice for visitors to challenge themselves and have fun in shallow water. Another activity is to thrill to an exciting swing across the recreational pond on the flying fox! Under the watchful eye of a farm guide, youths have their first experience in going into a rice field to try their hand at transplanting rice seedlings. This activity involves a lot of wailing as the youths pick their way across the rice field and find themselves sinking almost knee-deep into the squishy mud. This experience gives them an idea of what a back-breaking job it is to be a paddy farmer and hopefully, they will have a better appreciation of the rice we eat. After this activity in the scorching sun, the guide takes them to a stream in a nearby recreational forest where they enjoy a splashing good time, washing off the mud and grime. The Indian-Muslim trader who operates his cendol stall by the open carpark where the former Senai wet market was, looked across the busy main road and pointed out that the imposing old building between two rows of old shophouses, was a theatre built by Wong Piang Nam. It’s interesting that he was quite knowledgeable and from the inscriptions clearly marked on the façade of the old theatre, we know it was dated 1934 and first known as “Senai Hall” built by “Wong Tack Maw,” the trade name of Wong Piang Nam. An entertainment centre such as a theatre to stage Chinese opera shows is one of the relics that remain in Senai that gives us a glimpse of how the town was developed into a commercial centre by two pioneers who shared the same surname, Wong. From the research carried out by scholars in the local Chinese university, a sketchy history has emerged on how the founding fathers built Senai town. The two Wongs of Senai were Hakka who came from Her Po village in the Guangdong province of China. Born in 1867, Wong Piang Nam was just aged 17 when he was sold as a migrant worker to work as a tin miner at Belitung Island in Indonesia. It was a rags-to-riches story where Wong Piang Nam worked hard to ultimately own his own tin mines and in 1926, he decided to seek his fortune in another land and moved north to Johor in then Malaya where he and his followers settled in Senai. At that time, the land around Senai was still undeveloped so his followers cleared the jungles to plant rubber and pineapple that had replaced pepper and gambier as the most important plantation crops in Johor. Wong, who used the trade name Wong Tack Maw, was a wealthy entrepreneur who owned 1,000 hectares of land in Senai that was cultivated with rubber and pineapple. It is believed that he lived in a sprawling mansion built within the Wong Tack Maw plantation while he developed Senai into a commercial centre. The theatre and two rows of shophouses along the main road may have been the earliest brick buildings constructed in a small town that developed around a network of roads in Lorong 1 and 2 known as the lower street separated by the Senai River, with Lorong 3 and 4 in the high street. In 1937 a replica of his plantation mansion was built at Lorong 1 and as a benevolent entrepreneur, he later opened this mansion as a shelter for new immigrants who could stay there until they found their footing to settle in a foreign land. The Chinese often apply the ancient art of Feng Shui to achieve harmony but nobody knows why Wong Piang Nam decided to name the Wong mansion, Jiang Xia Tang because the word, tang means “hall” as in ancestral halls that honour the departed. He probably just wanted to have a town house but it is unclear if he ever stayed there and for how long but it is believed that Wong Piang Nam passed away in his plantation mansion in 1940. When his businesses did not go well, he attributed it to the name of the mansion as unsuitable for a residence and should be used as a public place. Railway transport via the West Coast Line between Prai in Penang to Johor Baru started in 1909 to facilitate the transfer of agricultural products from various districts like Kluang and Senai to Johor Baru and was sent by ferry across to Singapore. It was only after the causeway was completed in 1919 that the first good trains travelled from JB into Singapore in 1923. The other pioneering Wong of Senai, Wong Ji Song, an entrepreneur in the transport business, prospered the town by transporting mainly rubber and pineapple products to Singapore. After the Second World War, Wong Ji Song established the Johor Jiang Xia Tang Mutual Help Association in 1947 which evolved into the present day South Johor Wong Association which changed its name in 1970 and added members who joined from JB, Kota Tinggi, Kluang and Pontian. In 1951, the association proposed to buy Jiang Xia Tang and the sale was formally completed in 1978 with they received the land grant. These premises are now used as an ancestral hall for the Wong clan and as a clan house for community events and celebrations. Before WW2, Senai had two Chinese schools – one in the high street and the other in the lower street – but after the war they were merged to form Zhong Zheng Public School which continues to this day as SRJK (C) Senai. Since 1946, there was a proposal to build a temple and the town’s fund-raising committee raised a substantial sum but when they saw the need for more classrooms, they decided to donate the sum of RM2000 to the school. While the school originally planned to build an extension on a plot of land donated by Wong Ji Song near Lorong 4 in the high street, the school committee in return decided to present the land to build the temple and the Three Mountain Kings Ancient Temple was built in 1947. This temple remains a place of worship for the town today and an adjacent hall is used to host special events like weddings while a wooden stage built opposite the temple is still used for Chinese opera shows during temple festivals. In Senai’s lower street, the structure of the first theatre is still sturdy but it is in a decrepit state, begging to be restored and given a new lease in life. The land opposite the theatre was donated by Wong Piang Nam to build the (former) wet market that was once famous for Senai tofu but after the market was demolished, it is used as a public car park where businesses still thrive around it.